Woman tells husband to stay home because she is afraid to be alone at home with her kids. 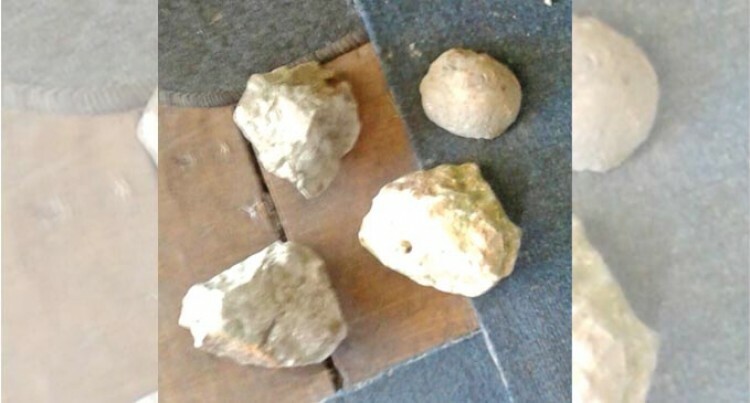 Shelly Wong and her fam­ily are concerned about their safety because their house has become the target of stoning. Ms Wong, 47, is married to Parveen Kishore, 59, and they live with their two children at Cun­ningham Stage 2. Ms Wong said their house got stoned on Friday, June 18th at around 10:45pm and on Saturday at 3:30am. “There were five or six young men drinking and blasting their music at my neighbour’s proper­ty,” she said. “My kids were sick and it was im­portant for me to get them to bed, so I got annoyed by the noise that the youths were making. “I told my husband to tell the men to lower the volume of their music because it was disturbing her kids sleep. Soon after a rain of stones bom­barded their house. The couple then called the Police to report the matter. “As soon as the Police came, the men fled the area. I saw them running away,” she said. As an act of retaliation, the youths stoned Ms Wong’s house again at 3:30am the next day. The Police was called again. “I am concerned about my fam­ily’s safety. We can’t sleep,” Ms Wong said. She has told her husband to stay home because she is afraid to be alone at home with her kids. She suspects the men are no­torious for committing petty crimes in the area and labelled them as “trouble makers”. Police spokesperson, Ana Nai­soro said Police officers had at­tended the scene and a complaint was lodged. The Police is continuing with their investigations.